Who We Are in 1983, Animal was founded with the birth of Animal Pak, the venerable training "pack" that started it all. 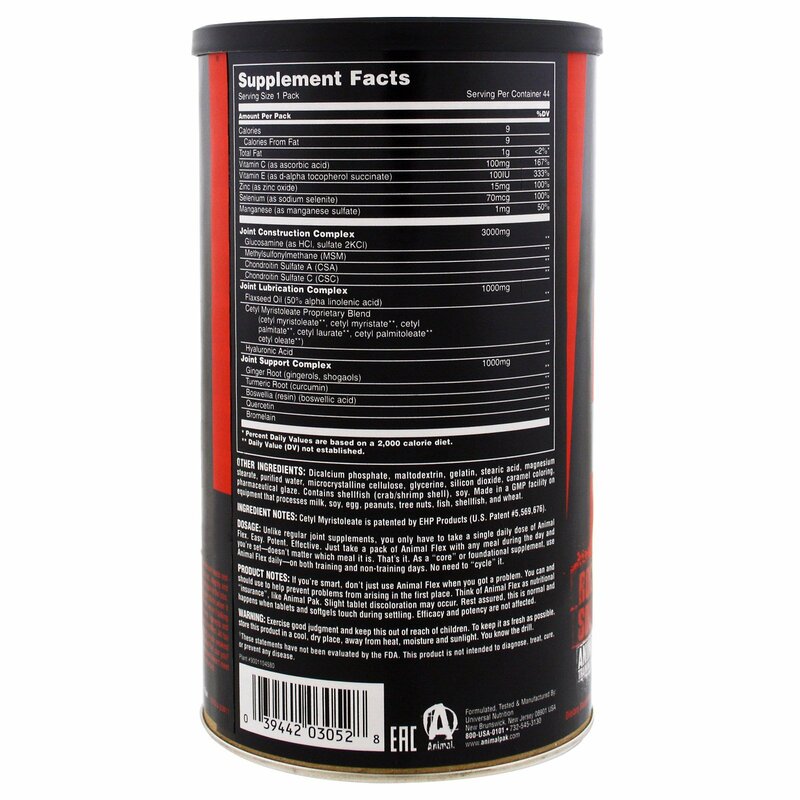 Born from the real needs and desires of professional bodybuilders. Animal has grown prodigiously over the decades. Today, as yesterday, the name Animal stands for trust, integrity and a unique no nonsense approach to the game. Animal also represents a group of products that have stood the test of time, proven again and again in the labs, and in trenches where it counts most... The gym and the stage. Dedicated to serious nutrition for the serious athlete, Animal is your choice when it comes to complete and comprehensive supplementation. Animal. The choice of champions. What Animal Flex is Rock solids. No, we ain't talking about thick slabs of meat that hang from your frame-those are easy to see, simple to assess. We're talking about your joints, bones, ligaments and other support structures that make lifting possible...The stuff you take for granted, what you can't see but can definitely feel when there's a problem. All too often, lifters focus only on building strength without thinking twice about the underlying support structure. Truth is, you are only as strong as your weakest link. If your weakest link are your joints, then you increase the risk of injury and that mean's you're out of the game. Now you can't afford that, can you? Didn't think so... Our Ironclad Guarantee Animal is dedicated to being the best in the business, no two ways about it. If this product doesn't meet with your tough requirements for any reason, let us know. When it comes to standing behind our products, we don't mess around. That's the truth. Dosage: Unlike regular joint supplements, you can only have to take a single daily dose of Animal Flex. Easy. Potent. Effective. Just take a pack of Animal Flex with any meal during the day and you're set - doesn't matter which meal it is. That's it. As a "core" or foundational supplement, use Animal Flex daily - on both training and non-training days. No need to "cycle" it. Dicalcium phosphate, maltodextrin, gelatin, stearic acid, magnesium stearate, purified water, microcrystalline cellulose, glycerine, silicon dioxide, caramel coloring, pharmaceutical glaze. 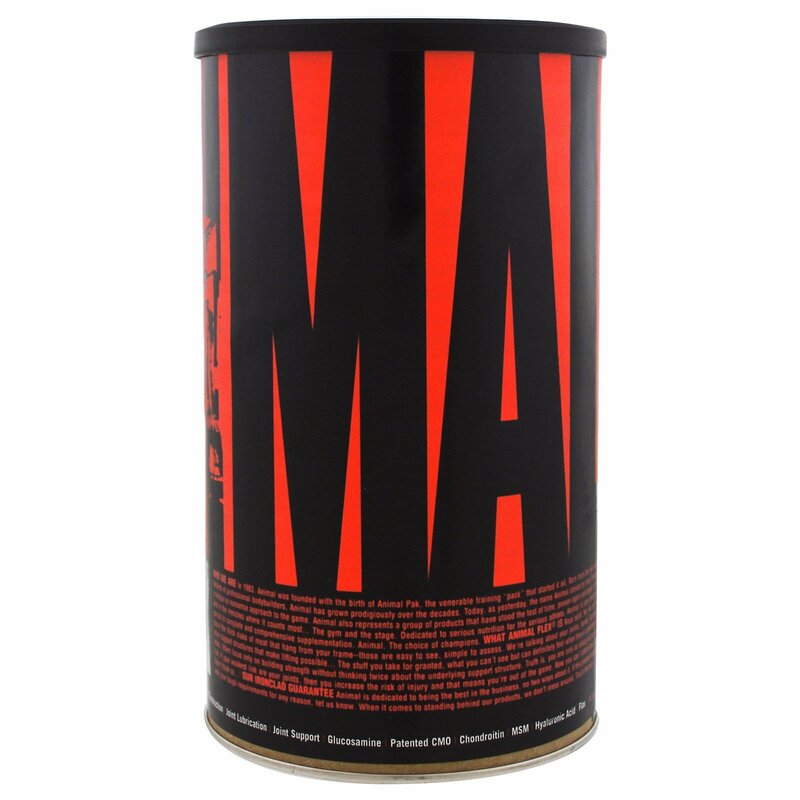 Contains shellfish (crab/shrimp shell), soy. Made in a GMP facility on equipment that processes milk, soy, egg, peanuts, tree nuts, fish, shellfish, and wheat. Ingredient Notes: Cetyl Myristoleate is patented by EHP Products (U.S. Patent #5,569,676). Product Notes: If you're smart, don't just Animal Flex when your got a problem. You can and should use to help prevent problems from arising in the first place. 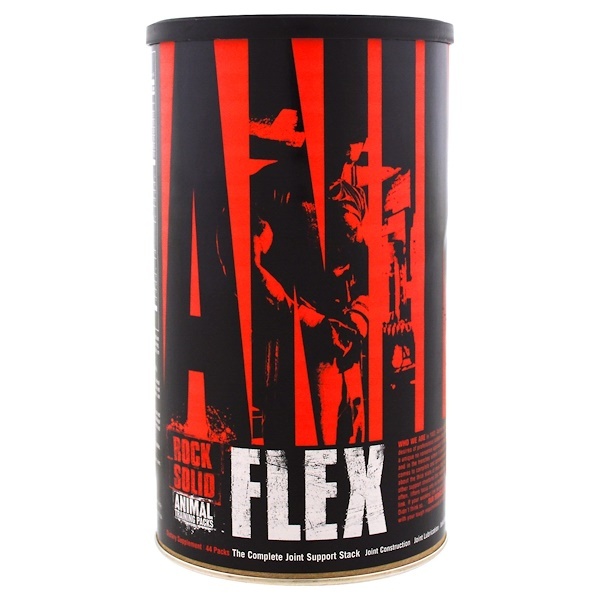 Think of Animal Flex as nutritional "insurance", like Animal Pak. Slight tablet discoloration may occur. Rest assured, this is normal and happens when tablets and softgels touch during settling. Efficacy and potency are not affected. Exercise good judgement and keep this out of reach of children. To keep it as fresh as possible, store this product in a cool, dry place, away from heat., moisture and sunlight. You know the drill.